From snuggling selfies to wearing each other's jewellery - here's everything you need to know about Hip-Hop's (potential) new couple. 1. The complete history of Drake and Jennifer Lopez's relationship. 2. It all started back in 2013, when Jennifer Lopez made a jaw-dropping entrance at The Grammy Awards. 3. Fast-forward three years and Jennifer Lopez proved there was still a spark between the pair. 4. In December 2016, Drake made an appearance at one of Jennifer Lopez's shows in Las Vegas. 6. More photos of Drizzy and Jenny together appeared on Instagram. 7. And soon enough, Drake and Jennifer Lopez seemed to make it official by posting this snap. 8. Drake's ex-girlfriend Rihanna reportedly unfollowed Jennifer Lopez on Instagram. 9. If that didn't prove their relationship, these raunchy Snapchat videos might do the trick. 10. J. Lo was later seen wearing a familiar-looking necklace at a party. 11. 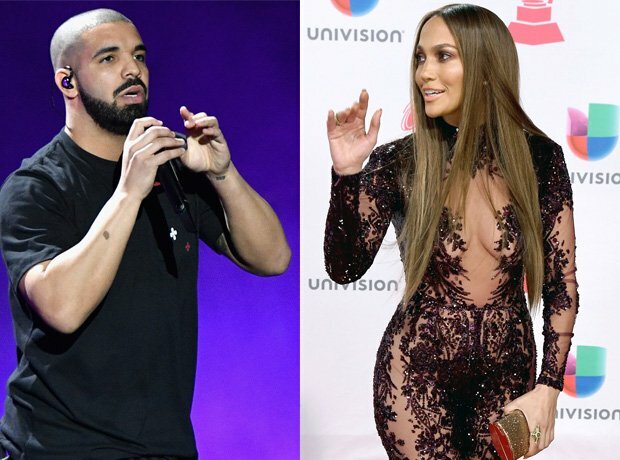 Drake and Jennifer Lopez are reportedly set to release their new collaboration any day now.